As a forward-looking brand strategist, whether you’re in automotive, beauty, fast-fashion, or any other number of categories, you need to live up to your customer’s expectations. Their expectations are in the physical realm, online in digital, and during all touchpoints of their experience with your product or service. In order to do this effectively, brands today need to fully integrate their omnichannel strategies with their end-to-end digital supply chain. Below are some critical considerations and key recommendations on how to get ahead. Many of the insights presented here are from speakers at the Luxury Interactive Conference in New York, which Rangle’s CEO Nick Van Weerdenburg spoke at in October 2016. For brands today, a key opportunity remains the boundless expectations of their customers to be delighted and thrilled at every touchpoint. Customers are increasingly vocal and demand the best service whenever they engage with you (and if they don’t get it, they’ll write poor reviews, and word of mouth travels fast). Customer demands are increasing year over year, and the pace of technology is accelerating faster than ever, driving even higher expectations. As a strategist, you’re facing more new and exciting possibilities than ever before. So, what’s the best approach to moving forward within the sea of opportunity? Your process needs to start with a complex and nuanced understanding of your omnichannel approach and your key metrics. In order to build a robust integrated digital strategy, you need to determine the best way to differentiate your brand for the long term and stay ahead of competitors, while cutting through all of the digital and physical noise. Lauren Croke, Director for Web & eCommerce at Eileen Fisher explained they created an integrated business team in order to establish their specific omnichannel metrics. These are different from traditional sales KPIs. 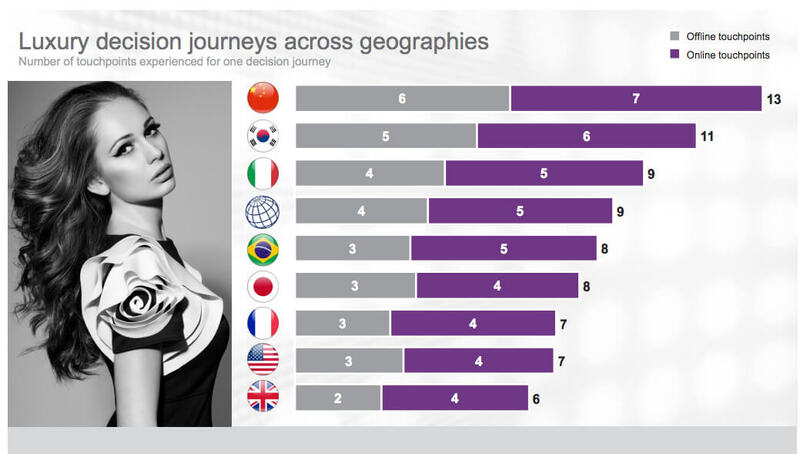 It’s not about the success of a particular store or channel, but instead it’s about the entire customer journey. You need to measure all the variables within your control that move customers along the path to purchase: awareness, engagement, trial, conversion and loyalty. Real-time web and mobile analytics are an incredibly powerful driver in any analytics processes because they’re so precise. With the right analytics infrastructure and adoption, you can see exactly where and when customers are engaging, and tie that back to the larger picture. Stitching together data sources, leaning in, and adopting a learning journey is a great way to approach metrics at any stage of the analytics maturity model. 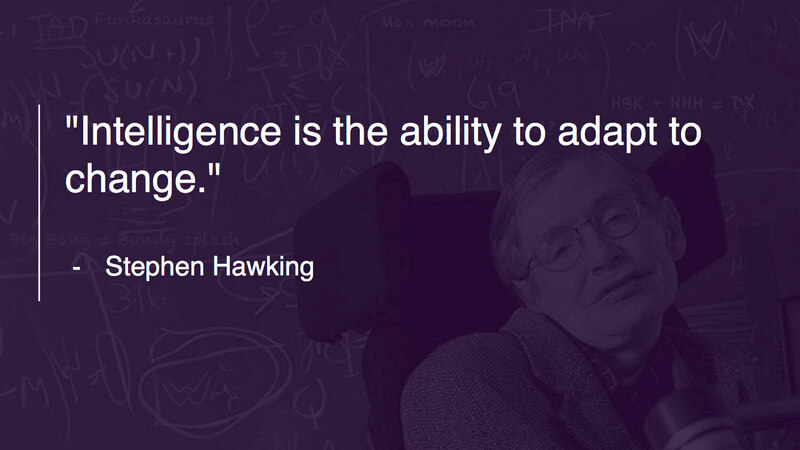 The goal is ultimately to arrive at data-driven decisions. In order to do that, you need to establish the most meaningful KPIs to track. By creating a longer cohesive experience, luxury brands can differentiate for the long term and engage on a much deeper level, breeding loyalty and trust. Mobile content is essential, and although it requires a large investment, it’s important in converging the online and offline world to create the richest consumer experience and transcend traditional sales and marketing cycles. Jamie Cole, VP, Digital & eCommerce at Mandarin Oriental Hotel Group was a strong advocate at Luxury Interactive for brands to extend the brand relationship well before, during, and after their purchase. Today luxury shoppers depend on offline and online engagement to make a purchase decision. Digital touchpoints hover at 50 percent or more, to help brands in the pre and post purchase timeframes, to stay in touch with customers. With a 360-degree view of your customer, you’ll better understand them to build a customized experience, across all touchpoints. Technology and geo-location techniques play a key role in collecting information about them and helping them at every step. Consumers are using mobile all day, so mobile experiences are elevated now, and your brand can do no less. Things are changing fast and you have to continue to work with technology to solve new problems and evolve your brand’s position. For companies like The outnet.com, EVP of Sales, Marketing and Creative, Andres Sosa, says that every customer deserves attention through a personalised approach, and that geo-targeted activity has become essential for global businesses. "Everything is a risk. Not doing anything is a risk. It's up to you"
Alessio Rossi, Global Chief Digital Officer at Shiseido Group, opened his talk about innovation at Luxury Interactive with the quote above to highlight the risk for companies who don’t lean into digital innovation. A critical factor when creating digital ideas and experiences is your data, and being able to use it effectively. Mark Keeney, VP, Marketing at Ritani suggests that brand strategists need to look at the Airbnbs and the technology disruptors to see how to evolve within your own category. This requires a test and learn approach, with media and creative, plus integrated technologies. You have to be able to scale your idea, and rapidly iterate, without breaking anything in real time. Whether it’s experimenting with RFIDs or iBeacons for retail experiences in-store, or using Augmented Reality in your mobile app, you’ll need to make shifts based on the data that emerges over time. Amanda Willinger, VP, Digital and eCommerce at LAGOS said the best strategists are like entrepreneurs or growth hackers, because they’re willing to experiment in order to win. It’s critical to have volumes of ideas to test, quantify, and apply to the business, plus understand the activities to help discover the answers to important questions. Agile product development for web and mobile projects has never made more sense for intelligent brands today. You have a paradox of time, whereby you’re researching, planning and designing, and then you have to build the technology components out, plus create marketing and sales mechanisms. You can’t do this in silos. Everything has to work in an integrated fashion. Your technology and your data need to be equipped to produce a feedback loop into your planning and design decisions so you can create a more compelling product. The best way to do this, is by taking a Build-Measure-Learn or Lean Startup approach. When brands embrace this model, they can’t learn slowly. Instead they must learn to embrace learning and failing fast. Doing more planning upfront doesn’t help them because it can kill innovation. Innovation can sit within your digital supply chain, where you can start creating amazing customer experiences and get the voice of the customer back into the technology conversation. This means real-time adaptation of an Agile strategy and design+delivery model. Nick Van Weerdenburg, Rangle’s CEO, explains that by tailoring your digital production alongside your omnichannel brand strategy, you can master the complexity of your business problems. Conversely, by relegating your technology vendors to the sidelines, your equation can never be accurate. Today you need platforms, and not singular experiences. The days of a simple microsite being effective have passed. 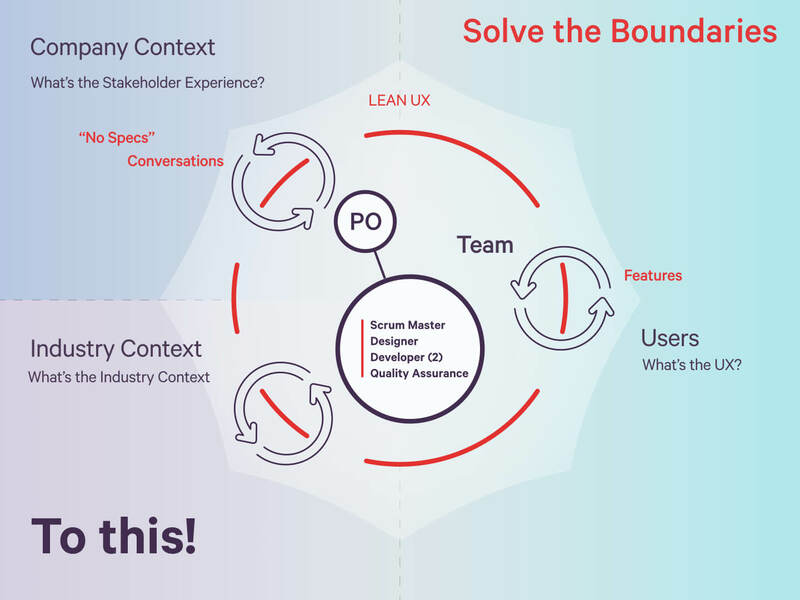 Cross-functional design and delivery teams must be integrated end-to-end, in order to solve the boundaries and fix resistances within various business departments. 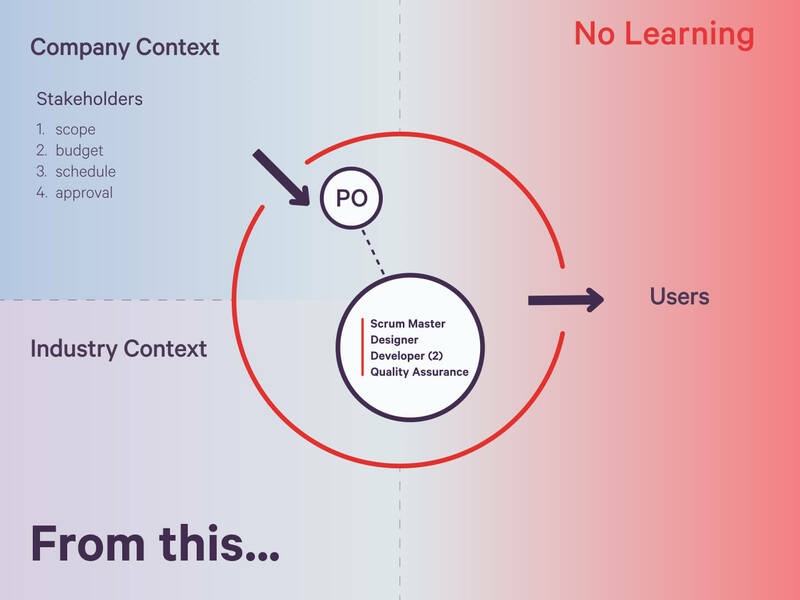 As Rangle’s CEO Nick Van Weerdenburg says, ‘The user is your new unit of governance.’ You should put your efforts toward focusing on design cycle time and it should take less than a month to get working applications and high-value features built-out. Today there are so many creative digital projects to go out and build, and yet for many brand innovation leaders, the technology side of the equation is daunting, at best. Understanding how tech stacks and frameworks perform, and why to pick a particular technology partner for your web or mobile experience can be a cumbersome, but necessary chore. That’s why now is the time to fully integrate your complete omnichannel customer journey with an end-to-end digital strategy and a select a product development firm that can become your end-to-end digital supply chain partner. The challenges you face today aren’t easy, and as such, they inevitably require a partner who completely understands the omnichannel customer journey. A good partner will enable you to positively transform your brand, and make it future-proof, with comprehensive digital strategies and robust technological competencies, plus custom solutions, to suit your particular customers. Rangle has worked with some of the world’s leading brands such as Aldo, Uniqlo, and Black Crows to create amazing customer experiences. Learn more about Rangle’s services for Retailers and intelligent brands, or speak with us about your project.